Our beloved Dr. Henry Dieter Schmitz entered the gates of heaven on Friday night, June 17, 2016. He was ushered in to eternal peace as he was surrounded by his wife, Pamela Brown Schmitz, all six of his children, and his two adult grandchildren. Henry was born on Dec. 6, 1936. 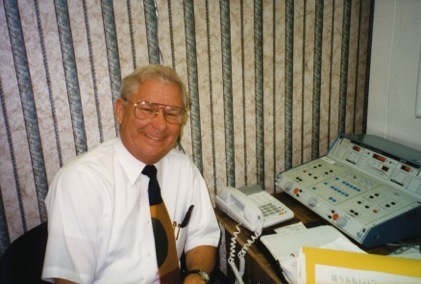 He lived a full professional life in which he provided top quality audiological care to patients across the Inland Empire and Orange County. He was one of the most highly recognized audiologists in the field and his patients traveled from far distances in order to be treated by him. However, it was Schmitz’s notable attention and commitment to his family that truly defined him as a man. His family warmly cherishes the memories of annual Candlelight Christmas Eve services at the Laguna Methodist Church where he proudly sang in the choir, eating family dinners together, enjoying German cuisine, relaxing at sunset on the beach, enjoying good times fixing sprinkler parts and gardening, and spending special moments spent with his grandchildren. Devotion, time and unconditional love were continually demonstrated by Schmitz, not only with his family but also with all those with whom he interacted. Dr. Henry Schmitz is survived by his wife of 32 years, Pamela Brown Schmitz; his daughters Janelle Woodward of Riverside and her husband Andrew, Kristen Fiorentino of Boise, Idaho, and her husband Larry, and Heather Monahan of San Clemente and her husband, Barry; his sons Randall Henry Schmitz of Menlo Park and his wife Kelly, Craig Hammill of Van Nuys and his wife Martha, and Dieter Blair Schmitz of New York and his fiancé Isabella Hieble. His grandchildren include Scott and Mitchell Woodward; Lorenzo Fiorentino; Sophia and Bella Schmitz; Finnegan, Samuel, and baby Henry Monahan, as well as his brother Rolf Schmitz and his wife, Anne. A celebration of life ceremony will be held in honor of Dr. Henry Schmitz on Friday, July 1, 2016 at 2 p.m. at the Laguna Methodist Church.